It’s not called the dry season for nothing. 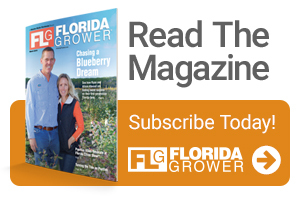 The annual downturn in consistent precipitation across the Sunshine State is keeping local water management officials on their toes. Though recent rainfall associated with cold fronts has provided some relief to areas running drier than normal, the traditional dry season is just kicking into gear. According to the South Florida Water Management District (SFWMD), from the start of the dry season in November through mid-January, rainfall totals districtwide are about 17% below average. 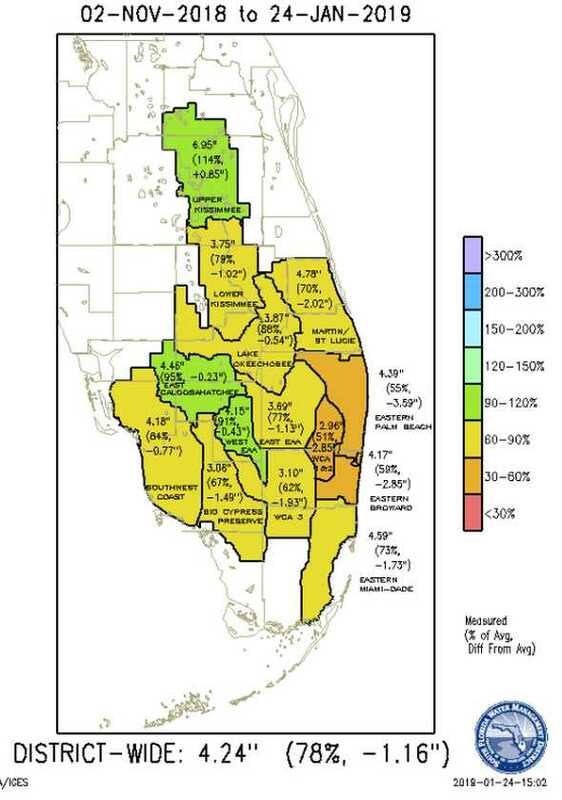 Some areas, such as eastern Palm Beach County, are about 45% below average. SFWMD staff will continue to monitor conditions and will report if any actions, such as water shortage warnings or restrictions are warranted. 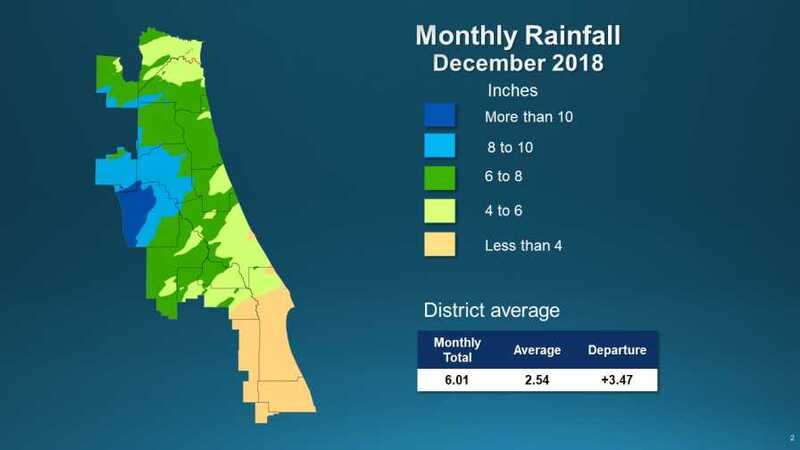 Meanwhile, data collected by the St. Johns River Water Management District (SJRWMD) shows rainfall during December 2018 was a tale of two locations. Rainfall was actually above average in most areas, except for a zone of below-average rainfall in the district’s southernmost counties. SJRWMD reports less than four inches of rain was recorded during December in Brevard, Indian River, Osceola, Orange, and Okeechobee counties. In contrast, portions of Marion County to the north recorded more than 10 inches of rainfall. Neighboring Alachua and Putnam counties recorded between 8 to 10 inches during December. Throughout the dry season, water management districts around the state are encouraging growers and residents alike to implement conservation tactics and best management practices. Amazing blog! Very Informative and Interesting.